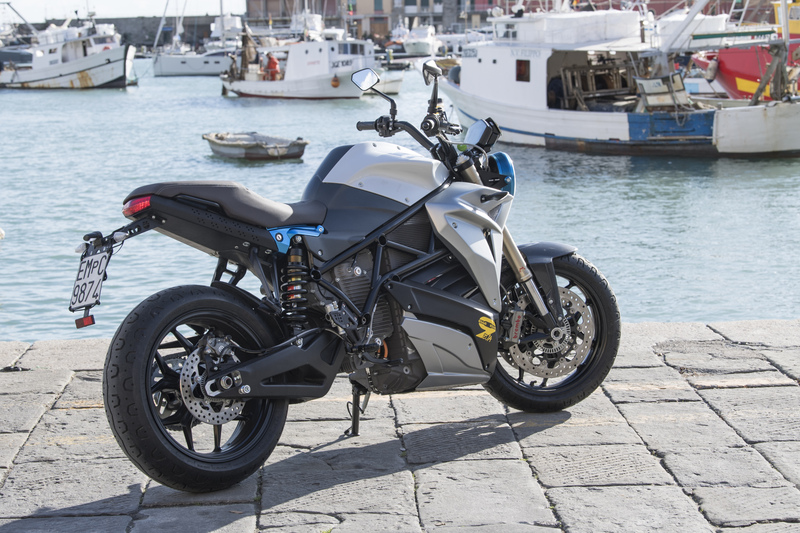 The future meets the past in this electric streetfighter. 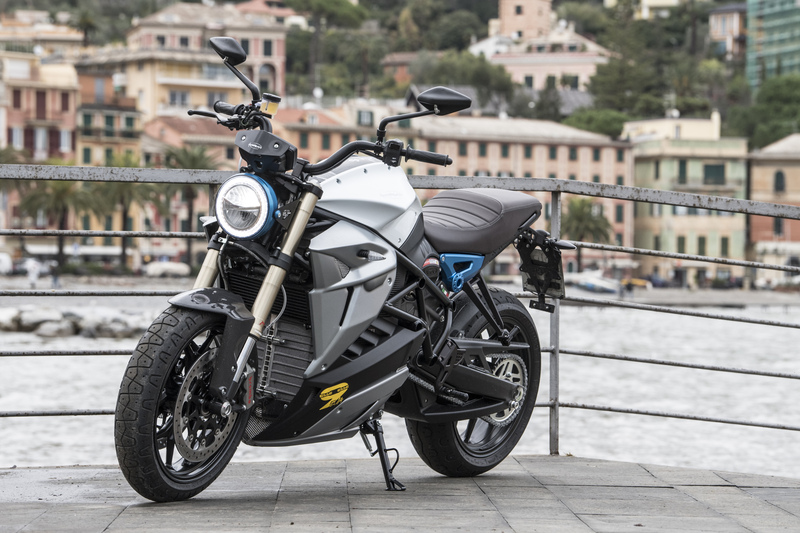 Italian electric bike brand Energica has just unveiled its third model at CES in Las Vegas. It’s the Eva EsseEsse9 and it’s the first electric bike to get in on the retro motorcycle trend that’s been dominating the industry. Its retro touches include a round headlight and a ribbed cafe racer-like seat while a streetfighter stance and angular bodywork make it stand out as a decidedly modern bike. Energica describes the Eva EsseEsse9 as a “brave, enthusiastic and heartful motorcycle.” We saw this bike at EICMA back in November, but this is our first look at the U.S. model. The new Energica Eva EsseEsse9 is similar to the existing Eva that it’s based on. It has a permanent magnet AC electric motor that makes 109 horsepower and 132 pound-feet of torque. The bike will have a governed top speed of 125 miles per hour. The motor is fed by a lithium polymer battery with an 11.7 kWh capacity. The battery charges from empty to 85 percent in 30 minutes with a fast charger or zero to 100 percent in 3.5 hours with standard charging. The bike comes with four riding modes: Urban, Evo, Rain, and Sport. 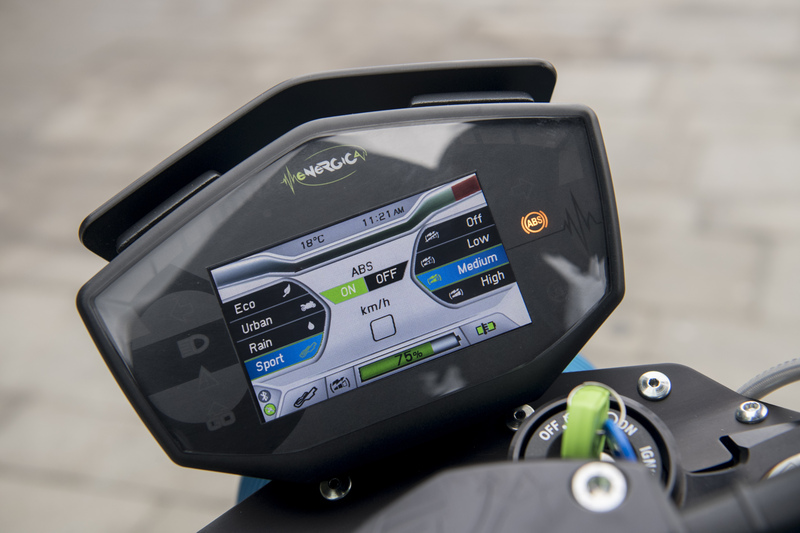 The rider gets a 4.3-inch TFT color screen with an integrated GPS receiver, Bluetooth, an ambient light sensor, and it can even show you the closest charging stations when connected to the MYEnergica app. Brembo double floating disc front brakes and single disc rear brakes should give you plenty of stopping power if this torquey bike should get away from you. 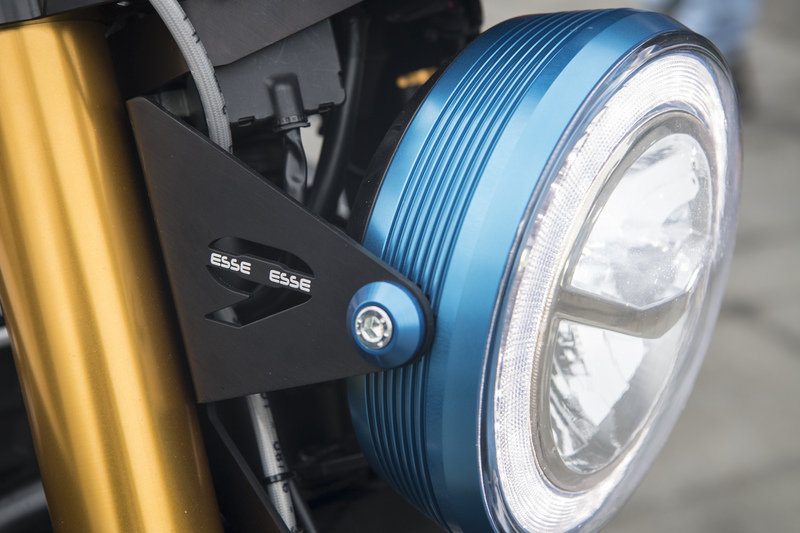 You also get Bosch switchable ABS standard which is a nice safety feature. 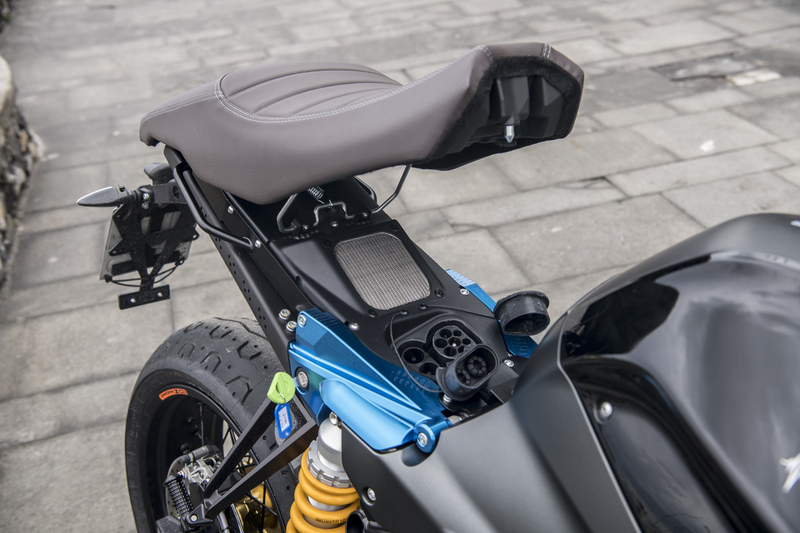 If you’re concerned about the reliability of an electric motorcycle, Energica provides a three-year warranty on the bike and a 50,000-kilometer (31,000-mile) warranty on the battery. The only thing we don’t know is pricing, which Energica told us in an email will be announced soon. The standard Eva starts at $23,400 so we can expect the Eva EsseEsse9 to be a little pricier than that. It's available in three colors, Lunar White, Shocking Blue, and Metal Black. 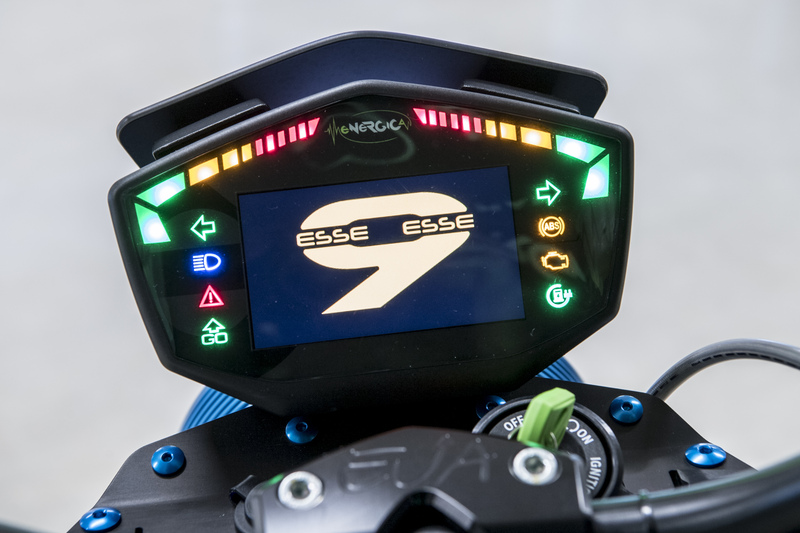 Between the stylish retro/modern look, the lively electric power plant, and the neat tech features, the Energica Eva EsseEsse9 looks like a promising bike and one of the most exciting production electric motorcycles we’ve seen so far.